ART DECO MAKES ITS DEBUT. Modernes. 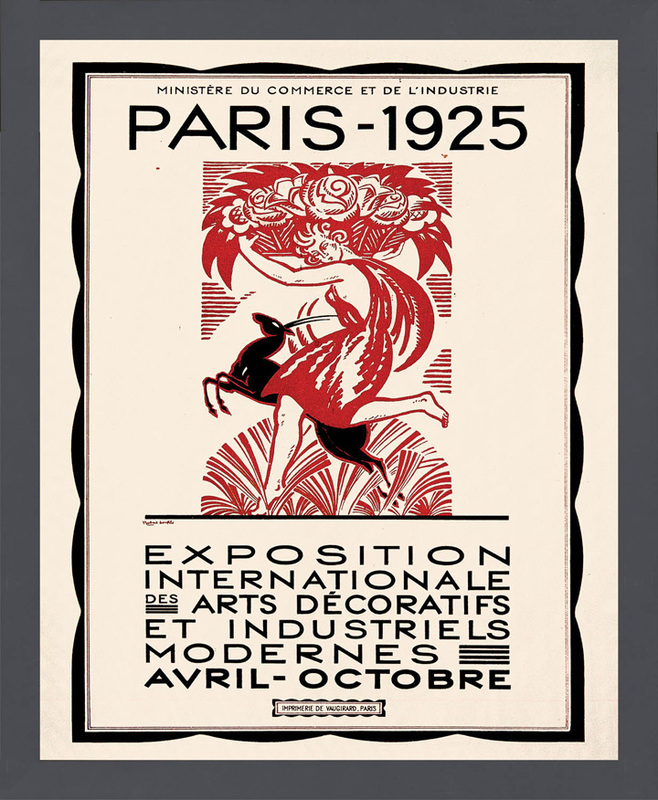 It was a lavish decorative arts showcase which was promoted with a striking poster of a leaping deer, female figure and basket of flowers. Art Deco history at a more modest price. The poster is printed on canvas, to re-create the feel of the originalswhich were often mounted on canvas for display. Each one is simply framed in black wood, and arrives ready to hang. Note that price includes crating and shipping. Allow 3 weeks for delivery.